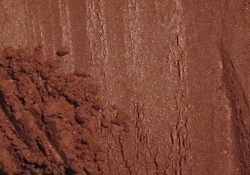 Soft russet-brown with a slight shimmer. This shade contains no dyes. Lip safe ,eye safe.